Slamming Planning Commission's poverty estimates, Congress MP and former union minister Mani Shankar Aiyar today said that it is not aware of the ground reality of the country. "Indeed the inability of the Planning Commission to project the reality of India arises of the fact that they categorised all Indians belonging to one of the two compartments. You are either BPL, which means you are below the poverty line or you are APL, which means you are above the poverty line," he said. Aiyar was addressing a conference on 'Alliance for Integrity - Chiseling the Way Forward', jointly organised by industry body Ficci and GIZ of Germany. In July, the Planning Commission said that the number of people living below poverty line has come down both in rural as well as urban areas. As per Planning Commission's data, people spending more than Rs 33.33 in cities and Rs 27.20 per capita per day in villages would not longer be regarded as poor. 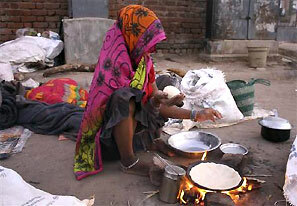 Aiyar said there are ground realities that need to be taken into account and there is huge inequality in the society. "There are ground realities which I think we are obliged to take account of. The most important of these ground realities being the total inequality of our society. Those at the top end are so far away from the masses who come below them that the universes around them tend to be so different from the other," he said. The poor in the country regularly under-report their income because of the poverty line categorisation, he added. "The poor regularly resort to under-estimate their income in their public interaction. The line (of poverty) is so finely drawn and the disaster if one happens to cross that threshold is so great that the poor of India regularly under report what they are earning," Aiyar said.